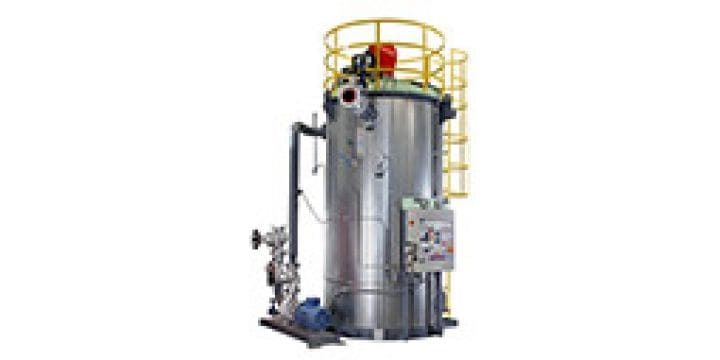 The GE INOX made by inox is an electric steam generator conceived for small or medium consumption, installation in clean environments or supplying high purity steam. 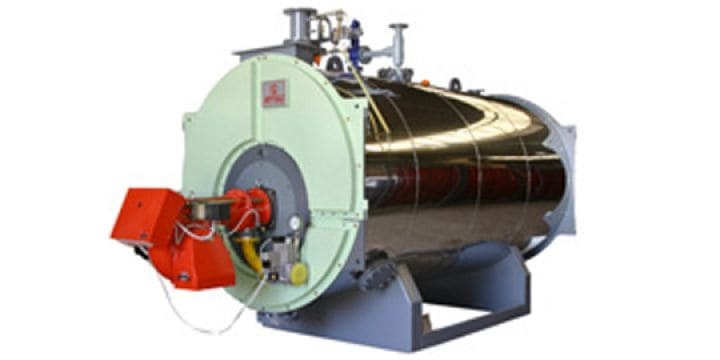 The CSPM boiler is a three-pass horizontal fire-tube steam generator, with a furnace designed for Biomass. 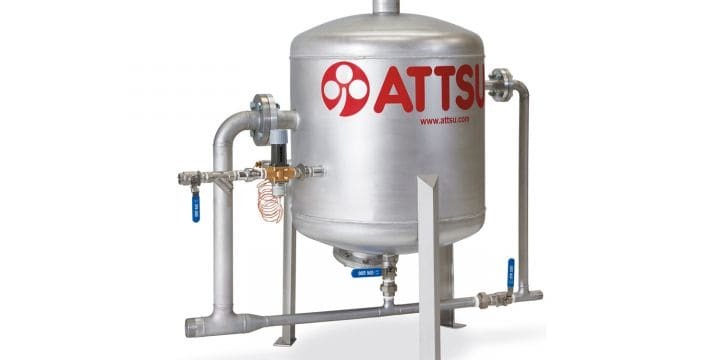 ATTSU BV is a steam boiler designed to recover the heat from engine or turbine exhaust at cogeneration facilities. 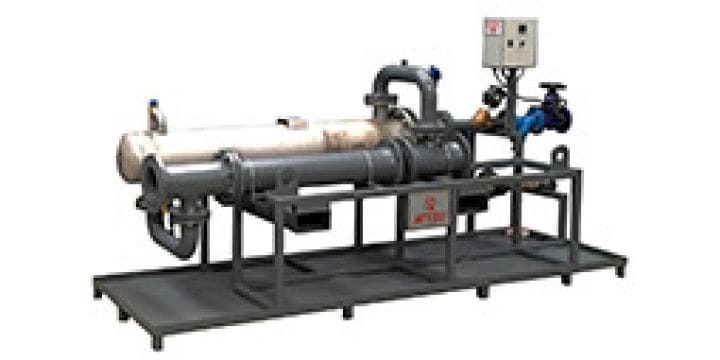 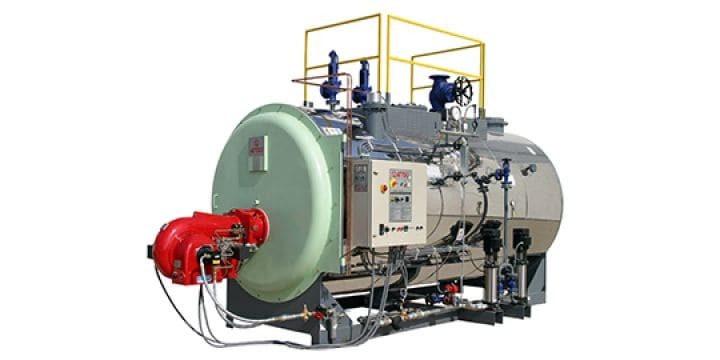 The VL boiler is a clean steam generator that is horizontal. 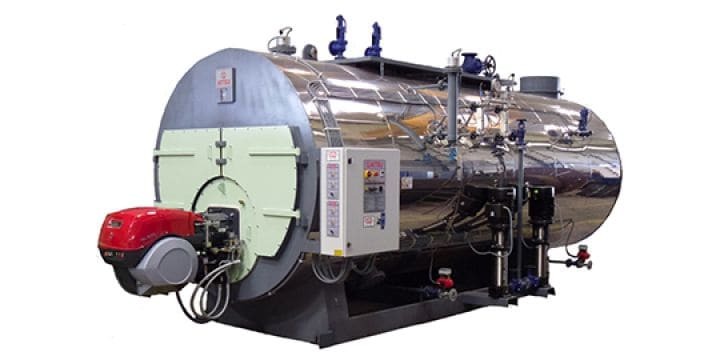 This boiler made of stainless steel uses dirtly steam, superheated water or thermal fluid to produce high purity steam. 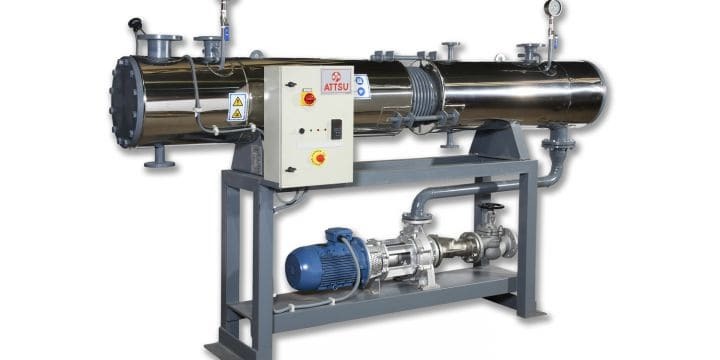 The V vaporizer is designed as an exchange basis for the production of medium pressure steam from steam at higher pressure or thermal oil. 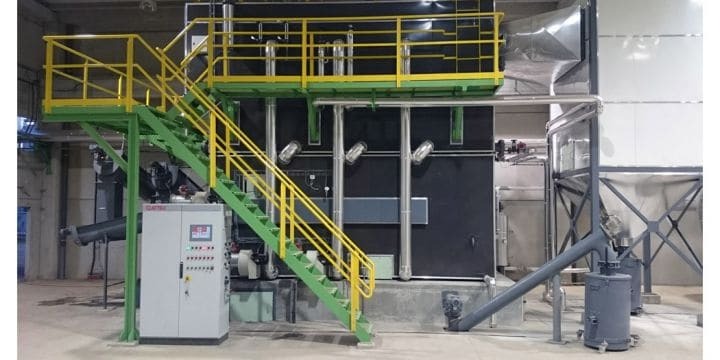 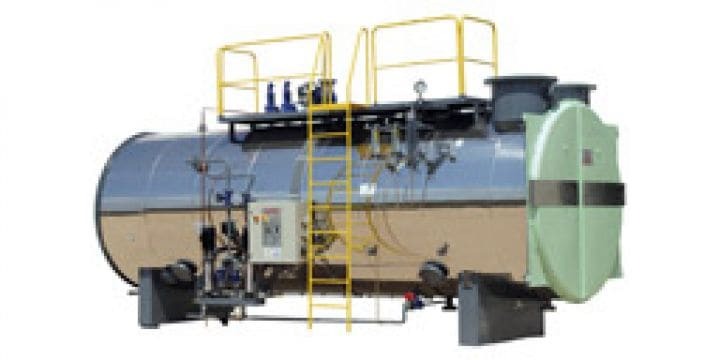 Container model is a mobile boiler room with the measurements of a 20-feet Standard sea container or an insulated container made to order, ready to connect and operate. 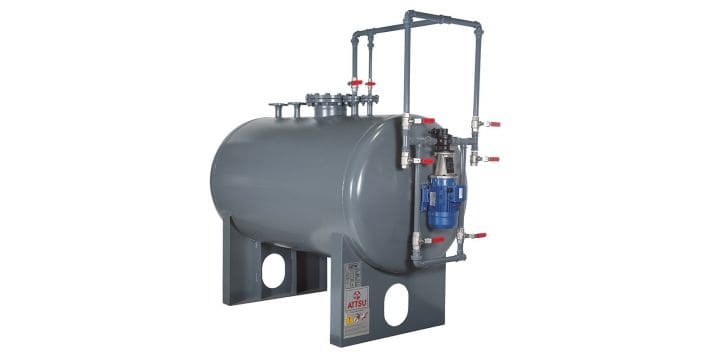 The FT boiler is a thermal fluid generator, with vertical execution with three passes and high thermal efficiency. 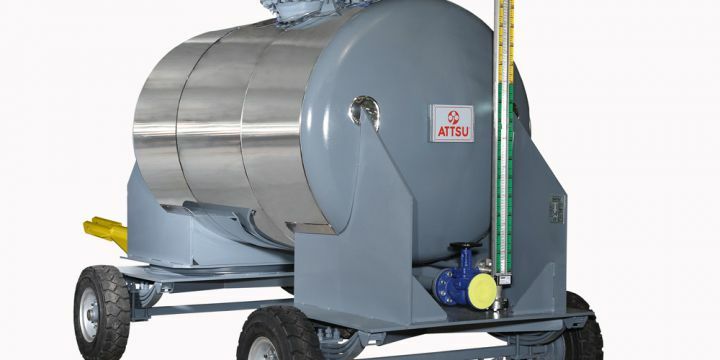 The ATTSU FTE thermal fluid electric boiler uses electricity for thermal energy. 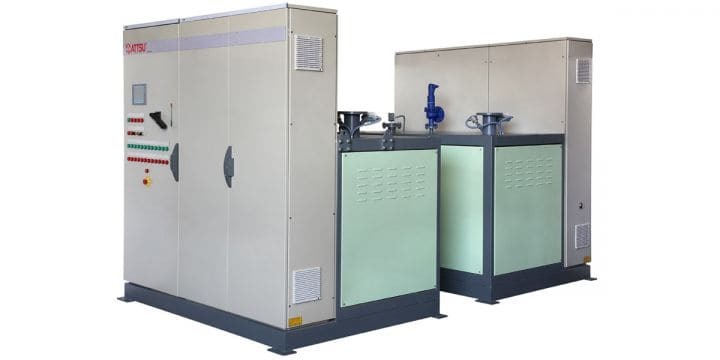 It is transformed into heat by electrical resistances submerged in the thermal fluid with very high thermal performance and very fine working condition adjustments. 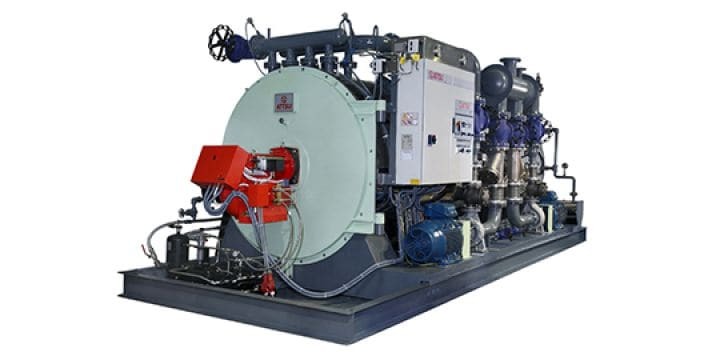 The FT-PM boiler is a Thermal Fluid Generator, with Horizontal execution with three passes and high thermal efficiency. 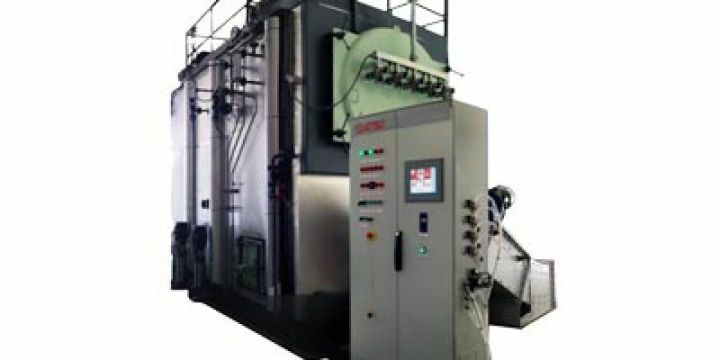 The HHAS boiler is a superheated water boiler that is horizontal, fire-tube with three passes and steam chamber. 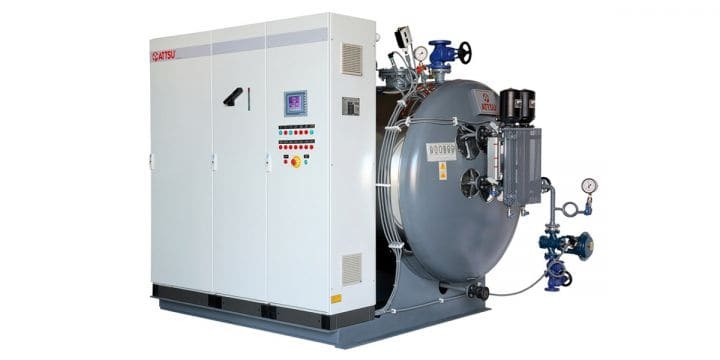 The chamber is completely cooled by boiler water. 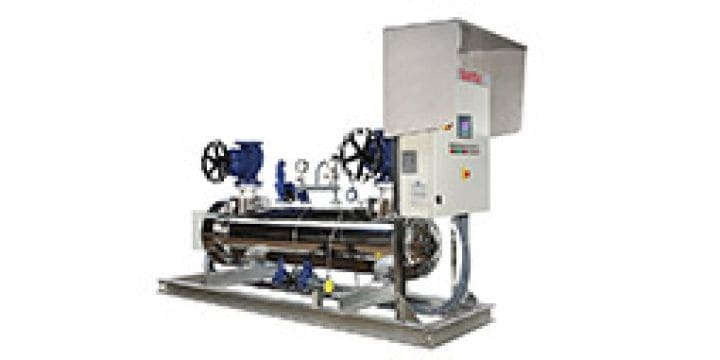 The RLAS boiler is a Superheated water boiler that is horizontal, fire-tube with three passes and smoke chamber. 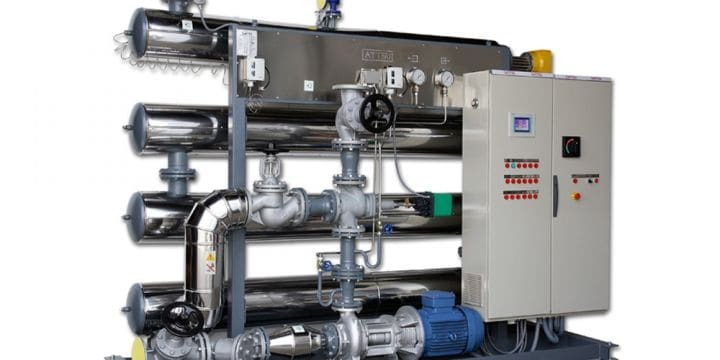 The chamber is completely cooled by boiler water. 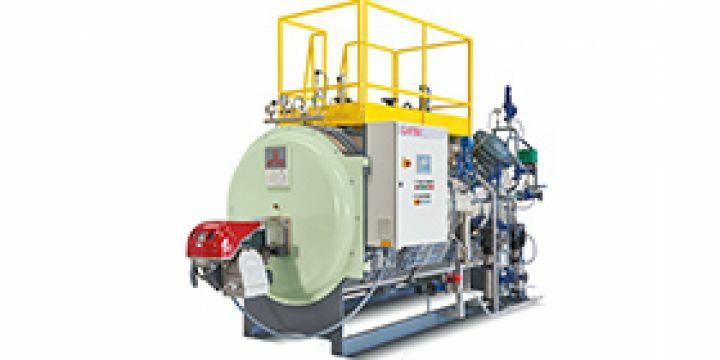 The ASPM boiler is a three-pass horizontal fire-tube Superheated & hot water boiler, with a furnace designed for Biomass. 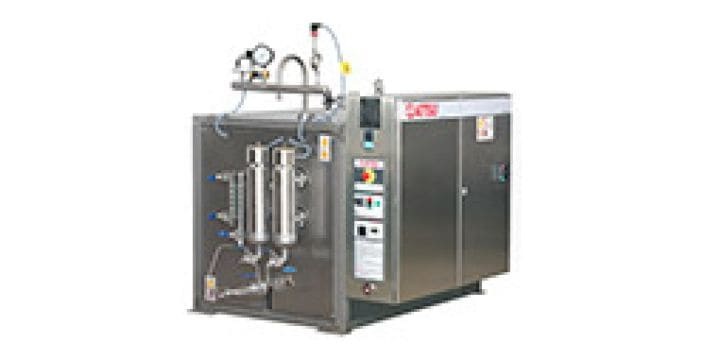 The ASE is an electric superheated water boiler for small consumption, installation in clean environments or supplying . 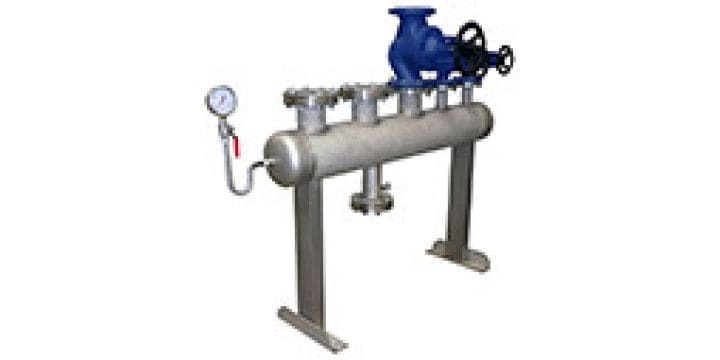 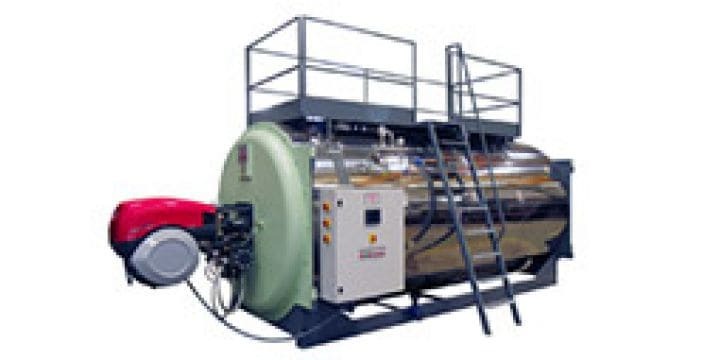 The boiler S is a horizontal hot water boiler, firetube, three pass boiler with reverse flame or three passes wet back and smoke chamber completely cooled by the water in the boiler. 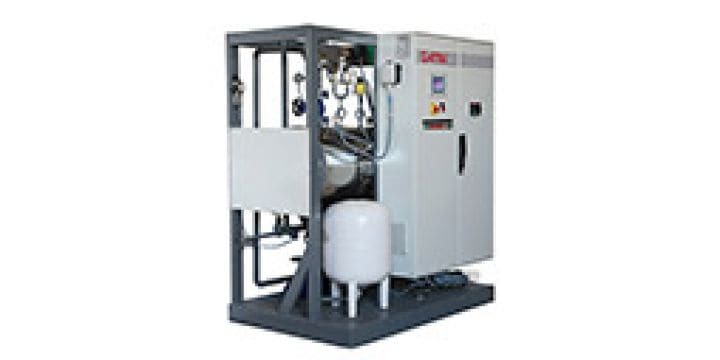 The ACE is an electric hot water boiler for small consumption, installation in clean environments or supplying . 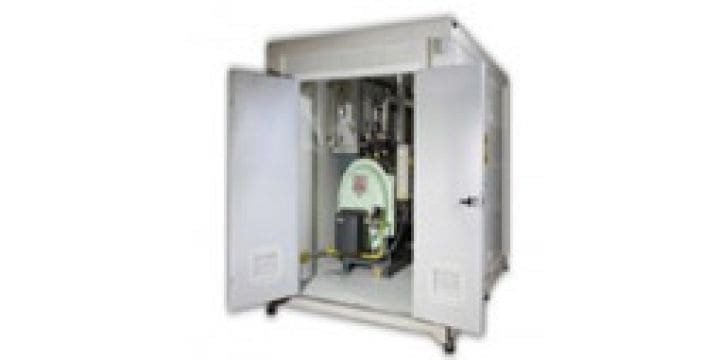 The economizer ECO series in designed for exhaust gases thermal recovery. 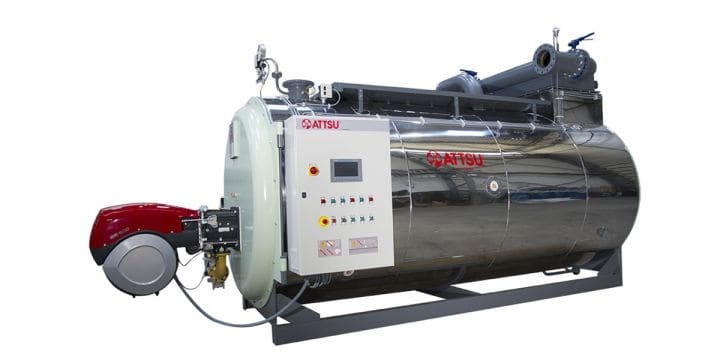 The steam accumulator ATTSU AV series can be adapted to different volumes according to installation. 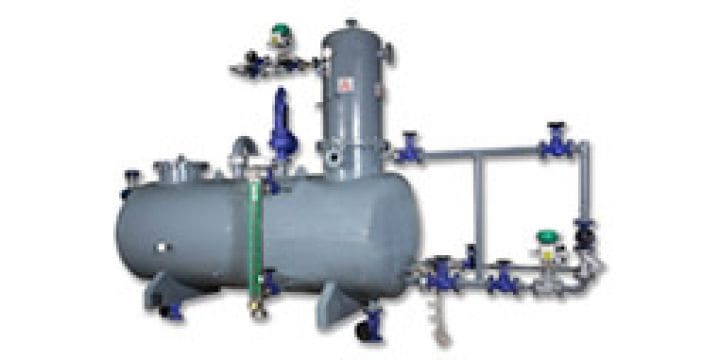 ATTSU CV Steam Manifold. 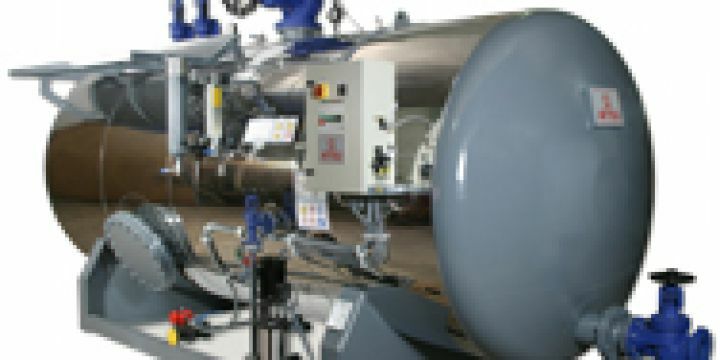 The CV collectors are designed and manufactured according to circuit and process needs, adapting to internal production and supply requirements. 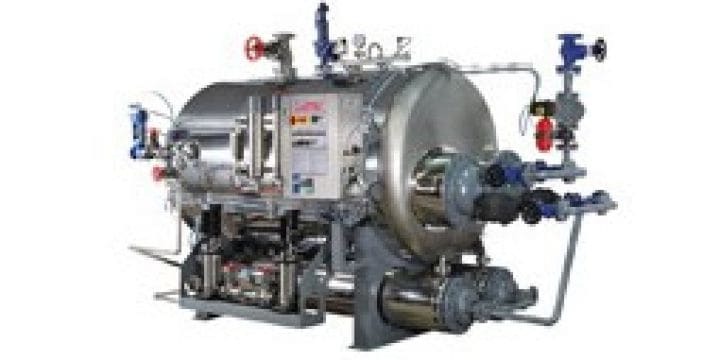 The model DG is a thermal deaerator for boiler's feed water . 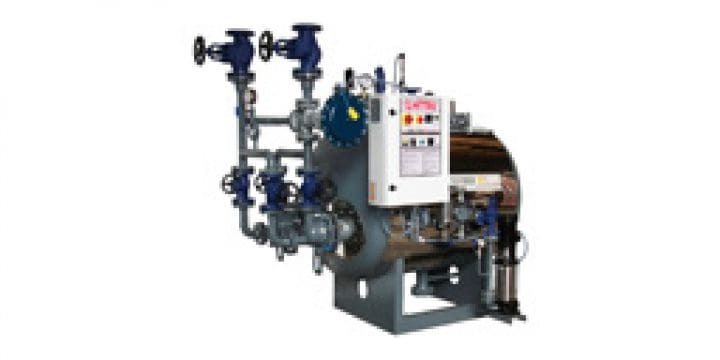 The DF model is a compact steam boiler blowdown cooler, designed for use in any boiler and steam system. 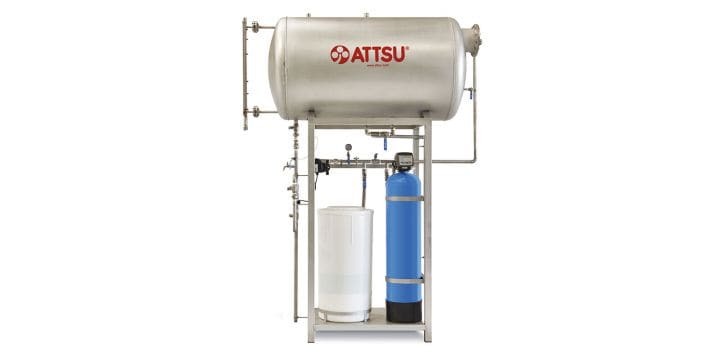 ATTSU WTC Water treatment plant is a completed equipment for boiler feed water softening and treatment. 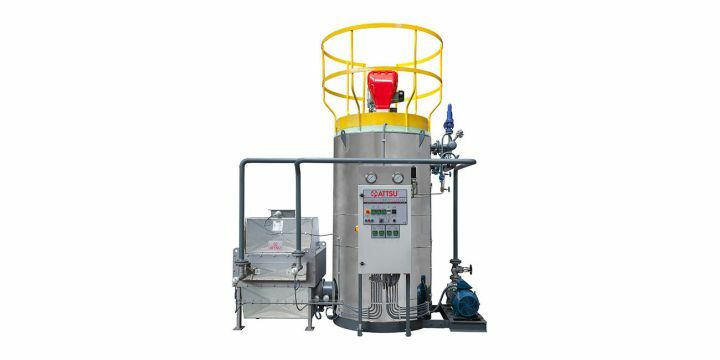 This is compact equipment ready to "plug and play". 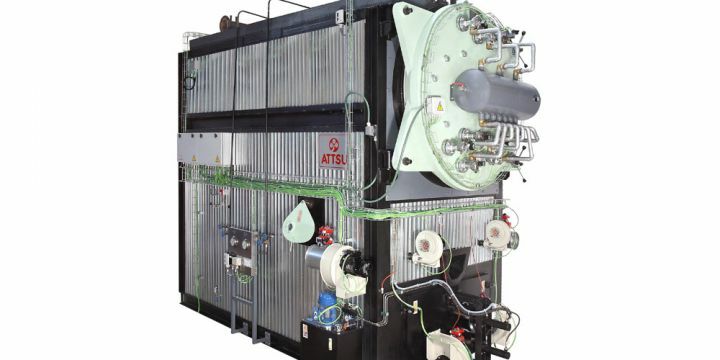 Carbon steel economizer, for the preheating of the return oil of the installation. 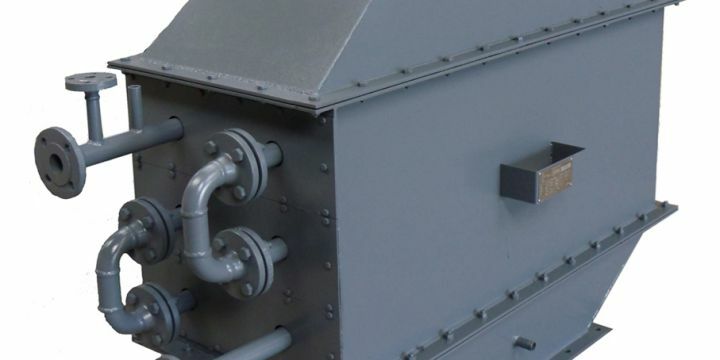 Exchanger installed at the exit of the chimney.